Physicists detect radio waves from a single electron. Chief researcher, Dr. Horton L. Efant, said that the signal translated to “We are here! We are here!” Investigation continues. 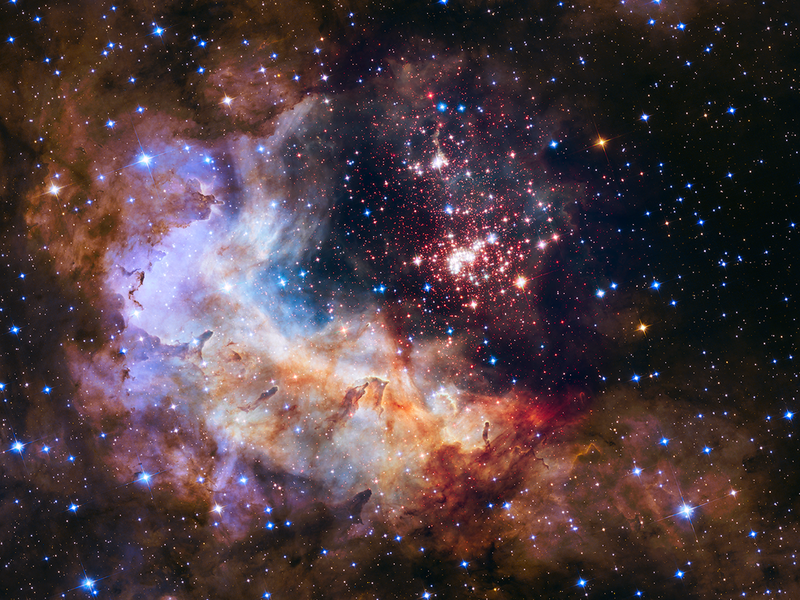 Finally, not weird, but just because it is so freakin’ cool, here’s the picture (and a video) released by NASA to celebrate the Hubble Space Telescope’s 25th Anniversary last Friday, featuring the Westerlund 2 cluster, where so many stars are being spectacularly born.